"Malaysian International Exhibition & Conference on Cosmetics, Beauty And Spa"
Cosmobeaute Asia attracts body care and skincare experts and enthusiasts to converge and proliferate the growth of beauty and cosmetic industry. This event is promoted to attract trade buyers from the region's beauty and health and fitness sectors, as well as top-end consumers by invitation in the Cosmetics and Beauty Products industry. 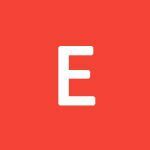 Cosmobeauté has been continuing its commitment to be the most proven sourcing platform for beauty trade professionals to explore business in the spectrum of Aesthetic, Beauty, Cosmetic, Hair, Nail and Spa industry. 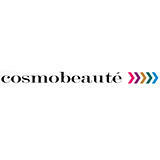 In order to optimize the platform for networking and business opportunities, Cosmobeauté endeavor to facilitate connections between exhibitors, importers, suppliers and visiting buyers through various initiatives.